Melt 2 tbsp butter and mix with 3 tbsp Dijon mustard and 2 tbsp honey, set aside…mix together 1/4 cup ground pecans ( I used my food processor to grind the nuts and it worked perfectly), 1/4 cup breadcrumbs and 1/4 cup grated Parmesan cheese…coat 4 ounce salmon filets with butter mixture and then coat the tops with crumb mixture…bake in toaster oven at 450* for 15-20 min. Watch that crust doesn’t burn…cover loosely with foil if needed. Enjoy! 16 Jun	This entry was published on June 16, 2014 at 8:00 am. 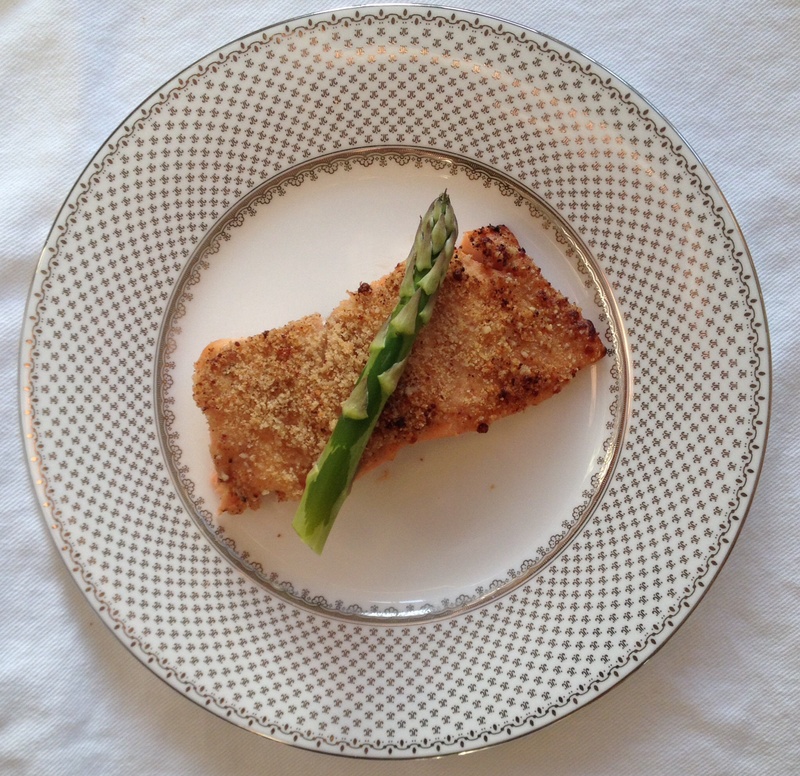 It’s filed under Food and tagged Easy Toaster Oven Recipe, Pecan Crusted Salmon Recipe. Bookmark the permalink. Follow any comments here with the RSS feed for this post.